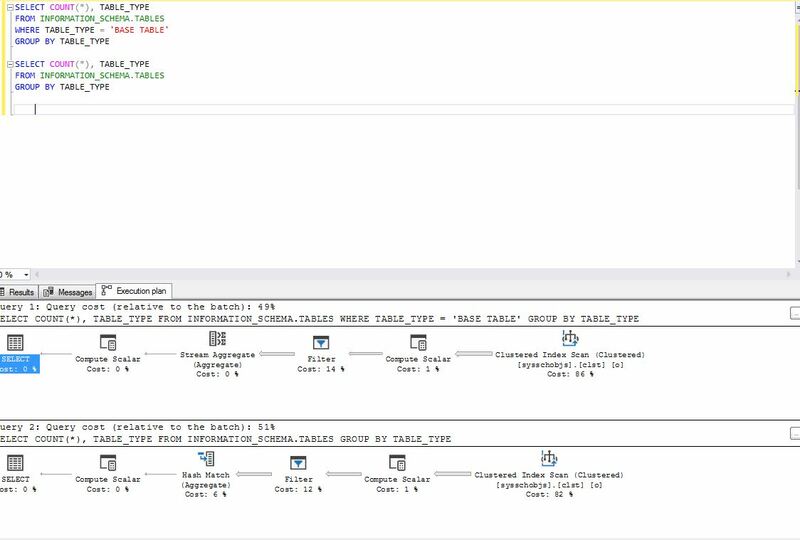 This feature in SSMS instructs the server to show the “cost” of every part of the query and subqueries (including loops). 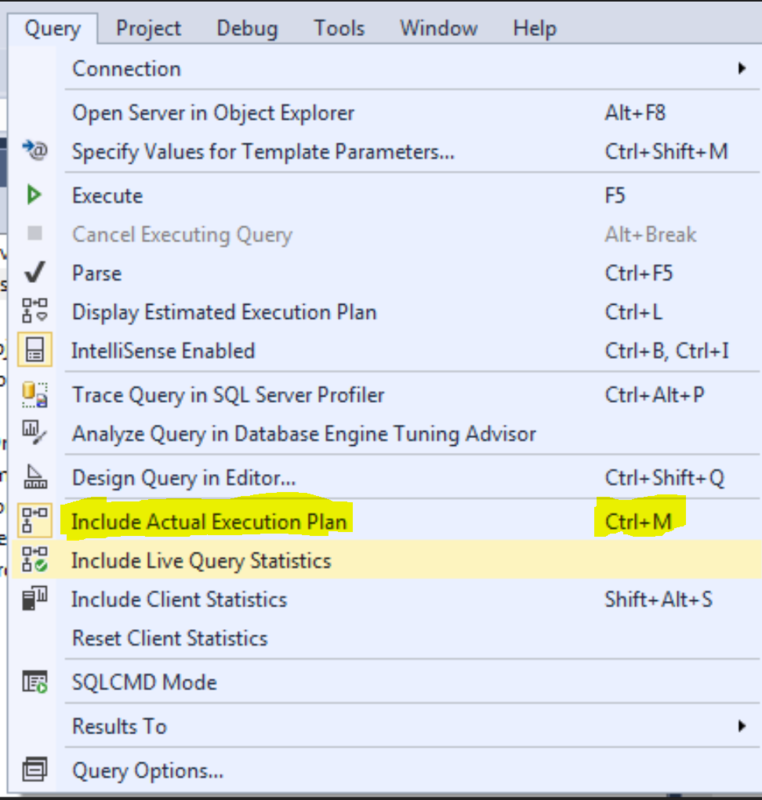 Execution plan in SSMSGoto Query->Include Actual Execution Plan (or use Ctrl+M) to active it. After you run a query (F5) in the query window, you will be able to see graphically see how the breakdown of the query. 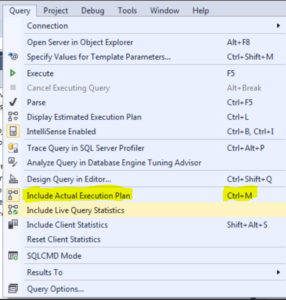 When using the Actual Execution Plan feature with two consecutive queries, in the same query, you are presented with “Query Cost” which is the parameter to how much this section was more “heavy” on the server – resources wise. The idea behind this is to make changes to how the query is written (while not affecting the logic) and have the immediate ability to see which one is better, comparing the “Query Cost” parameter.